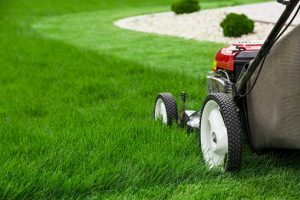 If you’re ready to improve the exterior space of your home and are searching for a respected name in Rose Hill Virginia lawn service, try the professionals at Complete Lawn. We beautify landscapes for residents throughout northern Virginia, and we can turn your lawn and greenery into a visually appealing, functional outdoor space that you will love. Our professional service will not only give your home great curbside appeal, but will also increase the return on your home’s investment. Lawn Care. We’ll cut and edge your lawn to appropriate grass height and change direction when possible, and we’ll bag the clippings and weed-whip hard to reach spots. We’ll also tend to your shrubs and flower beds, with specialized programs that keep your lawn free of weeds and insects and your bushes and flowers trimmed. Landscapes and Hardscapes. We’ll arrange plants and bushes in a balanced form that gives your outdoor space the visual appeal it deserves and the function it needs. We can also design hardscapes with walkways, patios and retaining walls that stand out and feature proper drainage to protect soil. Irrigation. We’ll keep your lawn watered with a high end sprinkler system, designed by our Certified Irrigation Designer. We’ll design your sprinkler system to distribute water evenly without wasting it. And we stand behind our sprinkler systems, providing repairs and upgrades when needed. We’ll also take care of mosquitoes, too, with our kid and pet friendly sprays that leave your lawn intact and safe, and when the winter months bury your home and car in the snow, we can bring our plows and shovels and dig you out again so you can be back in business. Our experience and personalized touch are what makes us a respected choice in Rose Hill Virginia lawn service. We hope you’ll take the time to look at this website and learn more, and when you’re ready, contact us for a free consultation. Imagine the beautiful new look of your home…we’re ready to start creating it when you are!